Our Markets | Sigma Relocation Group L.L.C. Dallas / Fort Worth is our flagship market where we started it all. With over 7.4 million residents and an explosive job market, it’s no wonder why DFW is one of the top real estate markets in the country. They say everything is bigger in Texas; and that’s certainly true for apartments. With over 3,000 communities renting more than 650,000 apartments, DFW leads the country when it comes to large (50+ unit) multifamily properties. 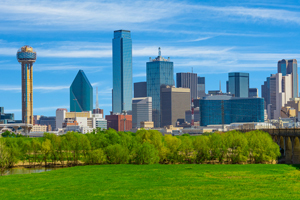 Unlike rival markets in L.A. and New York, Texas is known for its unprecedented supply of large, market-rate apartment communities with onsite leasing and management. These favorable conditions made DFW one of the largest apartment locating / rental brokerage markets in the country…and we own it. UMoveFree ® has become a household name in DFW with unrivaled market share. As the population expands, so will our business of helping North Texans rent, buy and sell homes. Our company is also proud to call DFW home with our corporate office located just East of DFW Airport in the prestigious Las Colinas area. While DFW is considered king of the 50+ unit apartment markets, the Greater Houston market comes in a close second. That’s why Houston was an obvious choice for our first expansion outside of the Dallas area. 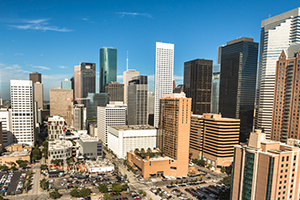 Rivaling its neighbor to the North, Houston boasts a population of more than 6.5 million and has nearly 2,500 communities offering more than 500,000 apartments for rent. Like Dallas, Houston was an obvious choice to grow the UMoveFree brand with its established rental brokerage industry dominated by incumbent traditional real estate firms. We came, and we conquered. In just a few short years we’ve grown to become the largest apartment locating service in the Greater Houston area by volume and we’re poised for years of growth moving forward. As one of our newest markets, Austin, Texas represents a great opportunity to expand our brand right in the heart of the Texas. 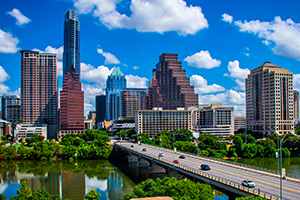 The Austin real estate market continues to expand each year as it benefits from a progressive economy focused on life sciences, clean energy tech and IT. Austin boasts the some of the most sought after neighborhoods in the state known for eclectic nightlife, music and an incredible restaurants. This area has a population of over 2 million and is expected to grow exponentially for years to come making this an ideal real estate market with increasing potential. Our newest market, San Antonio, is already contributing to Sigma’s revenue base and has incredible growth prospects in the years to come. Home to one of the largest manufacturing and government industries in Texas, the area benefits from three Air Force bases (Brooks, Lackland, Randolph) and one Army post (Fort Sam Houston). 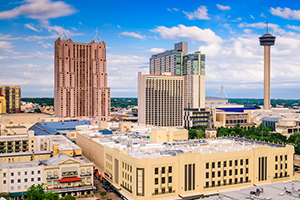 The Greater San Antonio area boasts a population of over 2.4 million people and is growing. With an expanding job market in healthcare, defense, tourism and various other industries, the San Antonio economy reliably attracts thousands of new renters and home buyers every month and we look forward to helping them find the perfect place to call home.